If anyone can comment on whether to use floating or sinking pellets for small SP that would be helpful. Most of my pellets are found uneaten on the surface. I have to scoop them out. Cut back your feeding and they'll soon learn to eat on the surface, they may not eat while you're about or watching them but they'll eat it or go hungry. 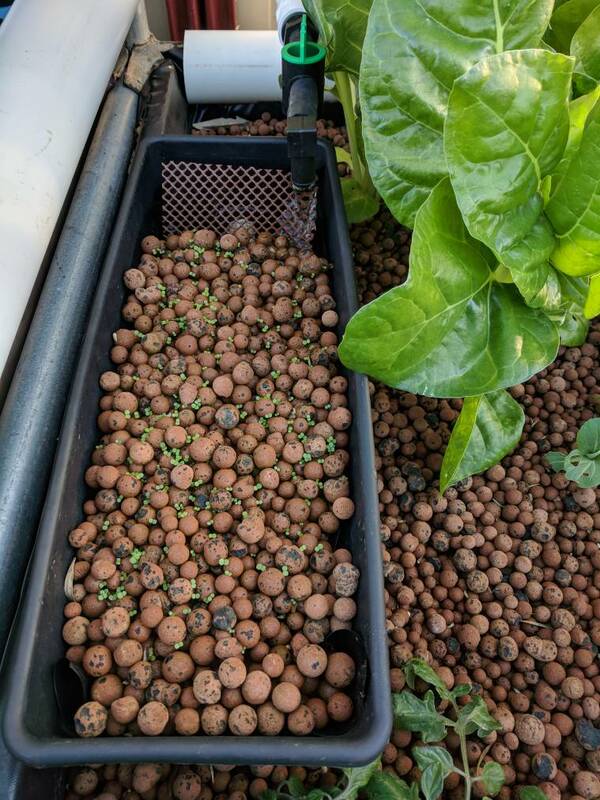 I found feeding SP, Trout and even Goldfish cumble then sinking pellets while they are young, and then slowly introduce them to floating pellets as soon as possible. They should be feeding on the surface before you go up in pellet size. You have no control over uneaten feed or know how much of it is going up the SLO if it's on the bottom of your tank, feeding from the top you know if they are eating or not and you can remove any uneaten food and stop the water fouling up. I found small silver perch don't eat a lot when it is cold. The larger ones slow down but will still eat about 50% of what they would eat when the water temp is warmer. 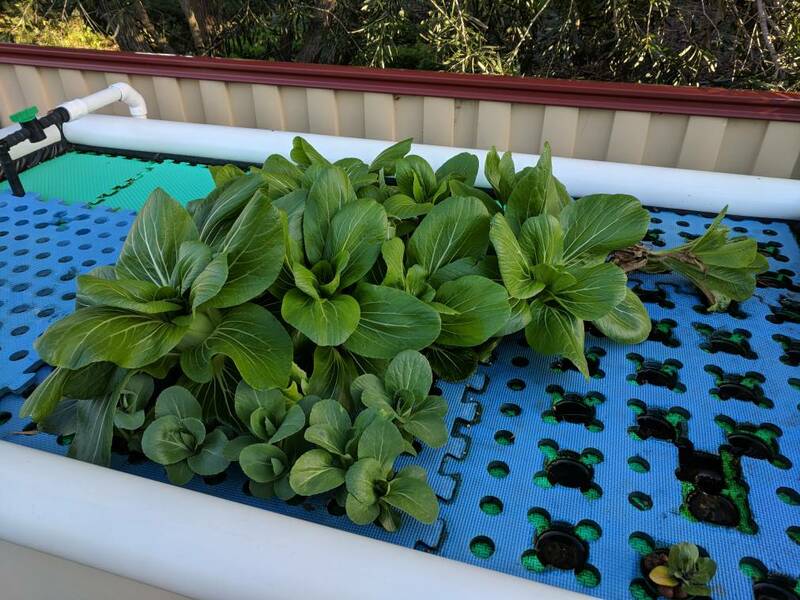 As joblow say, use floating and you can see how much or little they are eating and adjust to suit. Our silvers are still eating. When I feed them at the end at the day, around 5.30pm, they come up to the surface and take the pellets. I feed them a few pellets at a time as not to overdue it. The trout is a complete different story. We feed them three times a day. How big are your SP Wilsil? Mine are no more than 10cm. I would like to feed mine 3 times, but I'm limited to morning and evening, sometimes I even miss the evening. I might have to think about an auto feeder. I guesstimate the silvers from 10 cm to 25 cm in length. We don't feed t hem 3 times, only the trout. I have read post from people not to use auto feeders as you have no longer control over how much they are fed. My wife feeds them twice a day if she thinks about it and I do it when I am home after work. 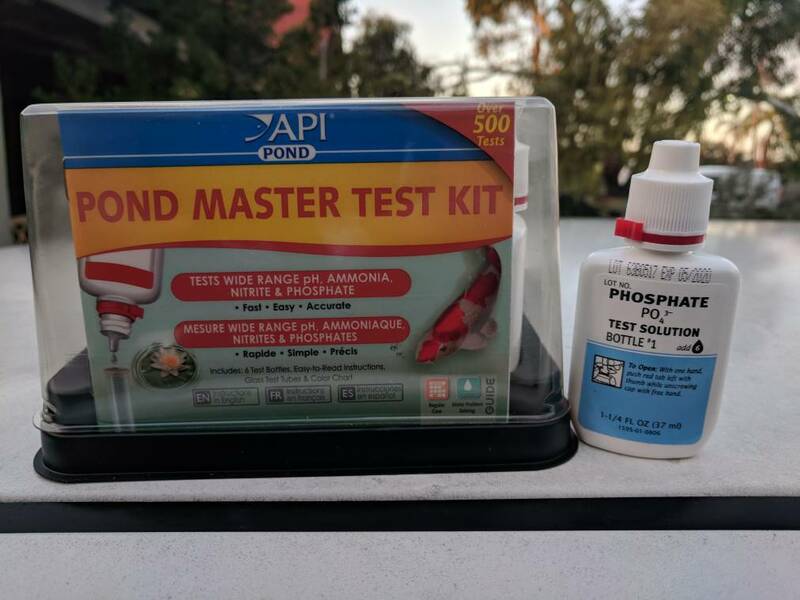 Well, I bit the bullet and purchased my API Master Test kit. $65. I small tip for anyone doing the same, make sure you check the batch expirery dates that are printed on the bottles. If the shop does their stock rotations properly, the new ones should be at the back. The ones I was looking at varied by a couple of years. My results were Ok. PH 8, zero ammonia and nitrate, phosphate was 40 I think. Phosphate? I think you mean Nitrite. I'm sure it says phosphate, but will check. It does seem odd. Well, here is the evidence. Seems the nitrate has been dropped in favour of phosphate. Has anyone else seen this? I figure they thought the nitrate was a bit redundant as you can infer it from the other two? It's a "Pond" kit, don't know if that's different. That is the difference, it's also more expensive than the Freshwater Test Kit, and has only 500 tests against the Freshwater Test Kit's 800. Hmm great. It was only $65, so not too bad if you don't consider the lower test number. Nitrates are no biggie anyway Dr, just something else to stress over. I haven't had nitrates in my sys since ever!. I only keep check of the pH now, IMO the most important in a well cycled system. The fish and plants tell me the rest. Yeah, I've not had high readings for nitrates etc thus far. I think my filtration side is coping well. I do the occasional check out of interest. I'll need to focus on my pH a bit I think. With all the rain we've had and the fact that all the crushed limestone I originally put in has gone, my alkalinity is now very low. I think this will mean I'm not very well buffered. 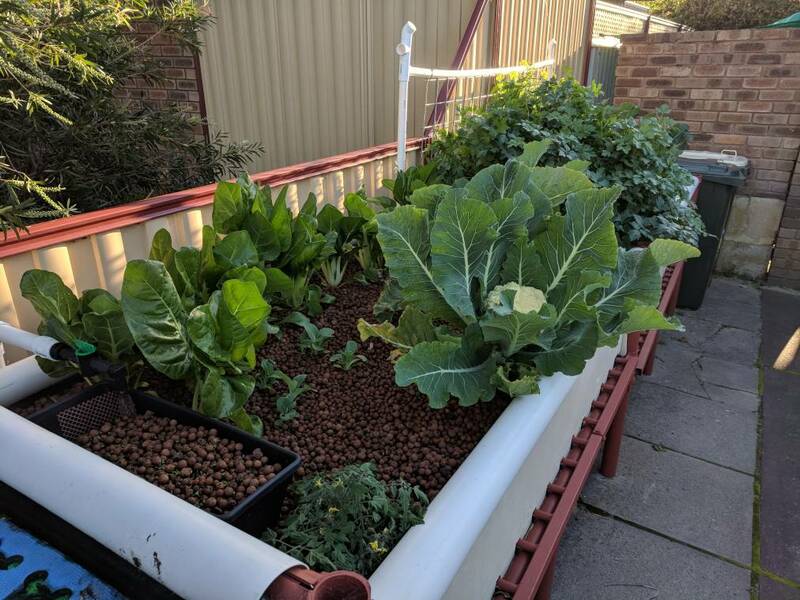 Any recommendations for Perth water here might help. I don't think I'll touch it unless it goes higher. Sitting at a pH of 8 now. Here in the hills scheme water is over 8pH and the rain usually brings the system pH down which is good for me as it gives me an oportunity to add calcium and potassium. Summertime top ups keeps the levels in the 7's. Since decomissioning the filter, that i infrequently cleaned, ive been able to keep the systems in the mid 7's. Anaerobic areas will drive the pH up. 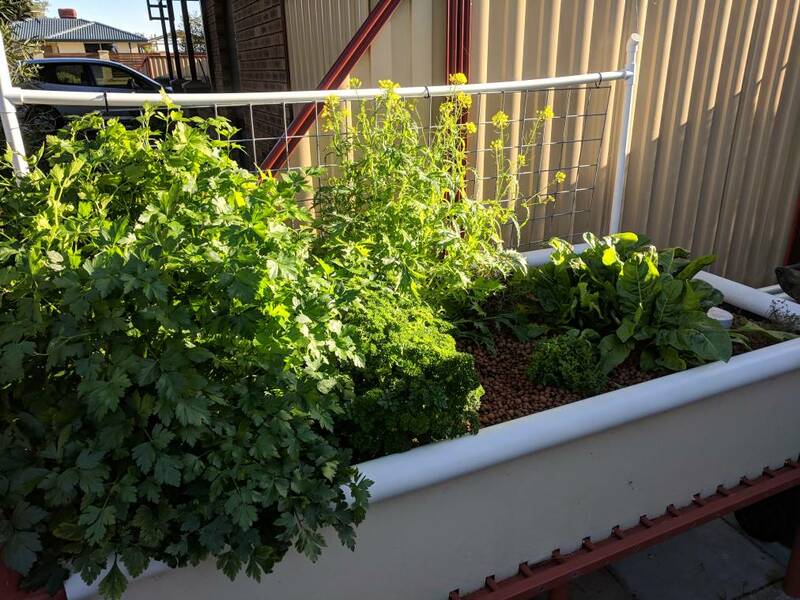 Hi all, spring is with us and the sun is slowly beginning to make its mark on our aquaponic systems... well mine at least. When I was first designing my system I was going to build the GBs in the garage over the FT. I'm glad I didn't. This winter was a bit of a struggle shade wise with the bushes and double story house blocking a good deal of sun. Things grew, but now the sun is rising higher I can see the impact it's making. I won't talk about the wind, but we worked through it. The pictures will hopefully tell the story, but really my system has not missed a beat since I turned on the pump at the beginning of the year. Some things grew, some things didn't, but generally OK.
My 16 trout are all around the 600g mark now. The SP continue to exhibit slow growth, but that may change as the water warms up. I've not had a fish loss to date. My 6 Marron also seem happy. System wise, the RFF does it's job, the tanks look pretty clean (no algal problems). Water chemistry all sitting pretty. 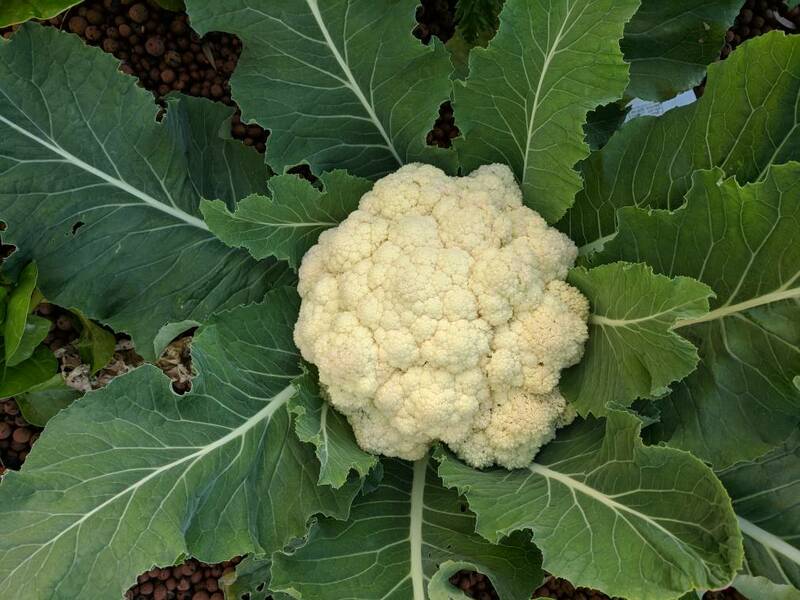 I've just harvested my first cauliflowers! Life is good. Enjoy the pics. I'll try and post some images on the FT side shortly. Or maybe a quick video.